Alta is for you, whatever your ability! Alta averages 550 inches of snow a year- our deep powder snow, rugged terrain and spectacular scenery are world renown. The best kept secret is our great beginner and intermediate terrain, which together comprise 65% of the area. The wide variety of terrain and snow conditions provide skiing opportunities for every level of skier. Purchase discount multi-day lift tickets in advance at alta.com or at our front desk for your convenience. Snowbird is a world-renowned snow and terrain must-ski destination. Located only one mile down the road from Alta's Rustler Lodge. Snowbird offers comparable snow totals, that allows the resort to remain open over 200 days most ski seasons. We provide complimentary shuttles to and from Snowbird daily. Wasatch Powderbird Guides is one of the world's most renowned helicopter skiing and snowboarding operations. 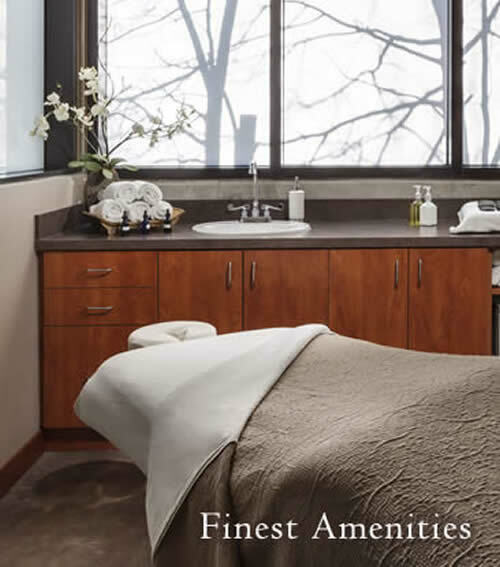 WPG is nestled between Alta and Snowbird ski resorts (less than an hour from Salt Lake City International Airport). Their custom built heliport commands a spectacularly scenic site in Little Cottonwood Canyon. Since 1973, they have offered one of the most exciting recreational adventures anywhere. Expect every day in Little Cottonwood Canyon to be perfect. Incredible skiing with over 5,000 acres of wonderland plus an average of 500 inches can make for a most memorable ski day. You can take lessons at Alta's outstanding ski school or head straight to the lifts. 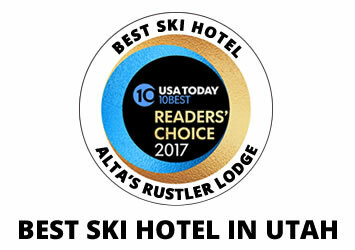 With the use of the Rustler's convenience ski card, you can ski-in/ski-out to Alta and Snowbird's famous steep and deep powder right from our base lodge. In addition to Utah's famous powder, there are always groomed runs opening a wide variety of beginner, intermediate and expert terrain at both ski resorts. The wide varieties of ski terrain and snow conditions provide skiing opportunities for every level of skier. We offer our guests complimentary shuttles daily to Snowbird ski resort and to Albion ski school. Take a day off from skiing on the mountain and take advantage of the worlds' most well-known helicopter skiing and snowboarding operations. 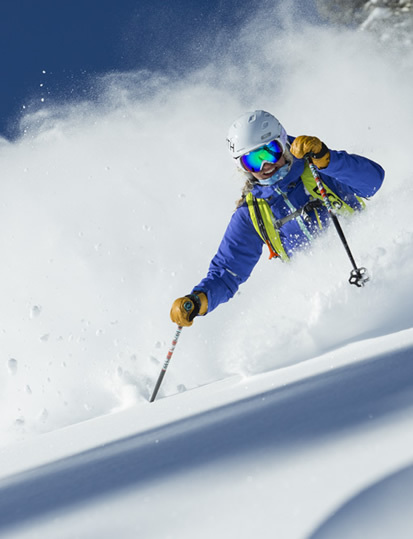 Wasatch Powderbird Guides located a mile down the road specializes in private or small group ski trips to deep powder caches in Utah's famous backcountry. Another great way to experience Utah's famous powder snow, spring skiing right from your front door.